Jiakaira Dixon pictured on Main Campus. Photo by Katie Harris. 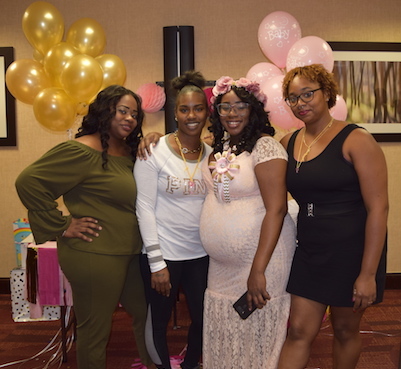 Pictured with her sisters, from left to right, Jacqueline, Tiffany, Jiakaira and Jazmine. Jiakaira is wearing a corsage she made for her baby shower. For Raleigh native Jiakaira Dixon, graduating from Enloe High School is a family tradition. Her father and all four of her siblings attended Enloe, located off New Bern Avenue. She started college at UNC Charlotte to study computer programming, to follow in her father’s footsteps. She moved back home to Raleigh to take some time off and began working full time at Harris Teeter. Two years later, Dixon transferred to N.C. Central, where she took online classes and worked full time while raising her daughter, Aryana. “I have always been a part of some type of business administration or admin assistant position. My first job was working for the Raleigh Youth Summer Employment where I worked with the fire department, then the library,” said Dixon. 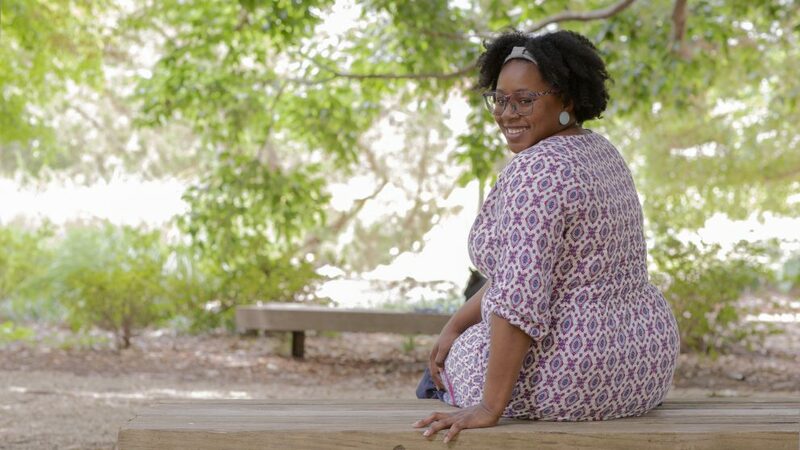 She wanted to do administrative work full time, so she began a two-month temporary job at NC State in the Office of Financial Aid. She was hired as a full-time temp at DELTA’s Video Communication Services as her other job was nearing its end. By 2014, she was hired permanently as the media production coordinator. Dixon sees her job as solving a big puzzle and she makes sure all the pieces fit correctly. She creates the schedules for personnel resources and facilities including the nine DELTA classrooms each semester, which is her main responsibility. She coordinates ad-hoc sessions in the classrooms as well as assisting professors who wish to use the mini-studio. Not only does Dixon create all of the purchase orders for the group, she assists Tony Pearson, senior associate director of VCS, with the budget. With between 65 and 70 classes offered each semester, it is quite the task to make sure there are no glitches. Dixon is certified in Scheduall, the software the VCS scheduling team uses to plan resources. She uses it daily and is a power user. Dixon mentions a DELTA classroom chart she inherited to handle the scheduling tasks. She used to track the workload of personnel in another spreadsheet. She was determined to make the two sheets talk to each other so the group wouldn’t miss anything, so she automated the chart. “The game with the schedule is to make sure professors are in the right room in SIS and that the seating capacity is appropriate for the scheduled classes in each room. 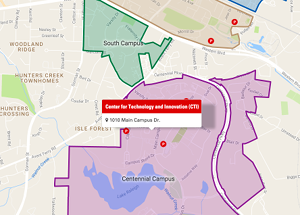 Engineering Online (EOL) can take up to 70 percent of our schedule, so this automated chart helps us quickly determine if classes have been moved, etc.,” she added. What are your favorite DELTA experiences? She also enjoys being able to attend DELTA activities and take a step back from working to connect with everyone. “I feel like my position is the glue to help everything stick together. I am the person behind the scenes to help things run smoothly. I make sure all the data is up to date and make sure everything is set in stone, so nothing fails in the classrooms for the professors,” said Dixon. She said she just likes to be able to help people. She wants the professors to have a positive experience. “The one thing that is special is I am here to help people who may not know which of our services to use,” she said. She helps troubleshoot and connect the right people and resources. 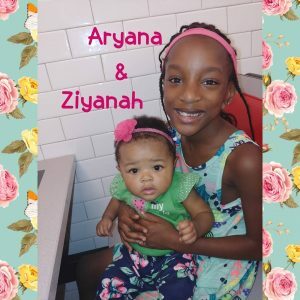 Jiakaira’s children Aryana and Ziyanah. “Recently, it has been the baby,” said Dixon. Her youngest daughter, Ziyanah, was born in 2017. She loves to do crafts. “I love my glue gun and Pinterest. It keeps me crafty,” explained Dixon. Currently, she is working with her seven-year-old daughter Aryana to make new room decorations. She is also the go-to person among her family and friends to make corsages for baby showers. Her superpower is coupon shopping. “I haven’t bought diapers or wipes for Ziyanah yet. I coupon-shopped before she was born,” she added. By using coupons she stocks up on items her family often runs out of like laundry detergent, toothpaste, etc. Dixon said, “It is an adrenaline rush for me when I see how much money I save. When I bought those wipes on sale last year, I paid $5 for 12 boxes of wipes.” She likes to see how far she can stretch her money. As for Dixon’s willpower, she taught herself to play the piano. She mentioned to her dad that she would like to learn to play, so he purchased a keyboard for her that she still has today. Jiakaira at the National History Day competition. 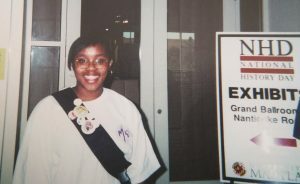 Back in middle school, as part of the inaugural class at Moore Square Middle School, Dixon took part in National History Day. Her team placed first in the regional and second in the state competitions. They went to the nationals at The University of Maryland but the team didn’t place there. However, she will always remember that event. It was her first trip to a university. Now she works at one every day.